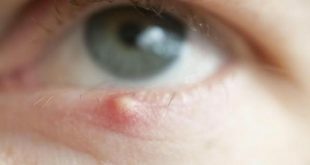 Home / Home Remedies / How to Get Rid of Red Eyes? Usually, having a red eye is not at all painful but in case pain develops in the eye, this could be a serious problem and should be treated with no delay. 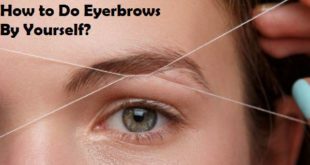 But, if the pain is accompanied by other symptoms like itchy eye and dryness then it is likely to be a bit less serious. Although, you still need to consult a doctor in order to get rid pf red eyes. 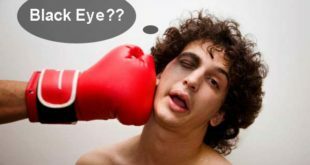 Another condition pf red eye where the eye has a sharp, aching, or throbbing pain, or maybe a pain that gets worse in response to light, should immediately be treated by a doctor. Symptoms of red eyes include headache, sensitivity to light, feeling sick, itching or dryness in the eye or an urge to puke. In most cases, the cause isВ conjunctivitis. 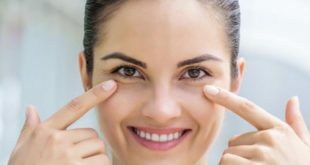 Rarer problems such as an increase in pressure inside the eye. Conjunctivitis means an inflamed surface of the eye and this condition can have several different causes. The eye will discharge water or pus in case in case the condition is due a bacterial infection. This discharge is usually sticky and yellowish or white in color. Common Cold and flu can also be a reason of an infectious conjunctivitis. Conjunctivitis can easily spread from one eye to another or even to other person who is in direct contact with the patient. В On the other hand, noninfectious conjunctivitis is caused due to allergy. Some allergies affect the eye seasonally whereas others tend to infect at any point of time. A pollen allergy or being allergic to animals can also cause red eyes. 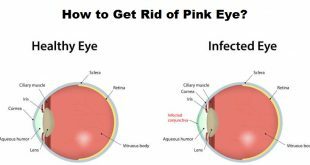 Most cases of conjunctivitis get cured without any medical help but some may need strict medical guidance to get rid of red eyes easily and effectively. Antibacterial eye drops can also be prescribed by a doctor if needed. But there is a case of viral red eye which cannot be treated withВ antibiotics. Allergies can be treated with drugs and medications. Various tablets and eye drops are available to treat allergies which can also be obtained without getting prescribed. 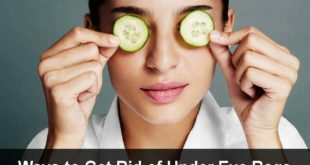 There are numerous home remedies that work best to treat and completely get rid of red eyes and to make it easier for our readers, we have gathered a few of them and enlisted below. 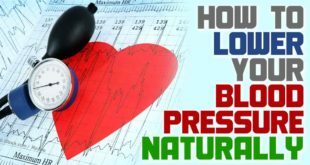 Please go through these home remedies that are all natural and safe. Also, please try one remedy at a time and do not club multiple remedies together as this may have side effects. Now, water is the most readily available natural remedy to get rid of red eyes. What could be safer than water? But make sure you are using mineral water for your eyes. 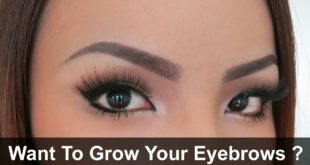 All you need to do is simple splash cold water on your eyes while keeping them wide open. You should feel the water inside your eyes. The other option is to soak a towel in water and place it over your eyes. Reap any of the two remedies or both as single ingredient is being used. 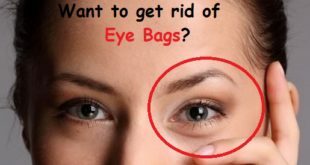 This makes it as one of the best, purest and simplest methods to get rid of red eyes. Take a clean cotton cloth and wrap a few ice cubes in it. Now, place this in your eyes and leave it for a couple of minutes. 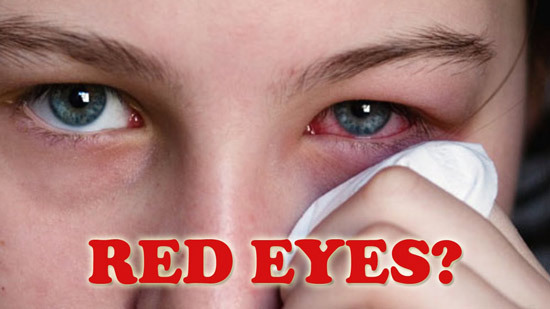 This natural home remedy prevents red eyes and is also one of the best to get rid of red eyes. Rose water is made fromВ Rosa damascena which possess anti-inflammatory and anti-infective properties, that is why this herbal water can be used as a eye drop to get rid of eye conjunctivitis.В Soak a cotton ball in rose water and then place them over your eye lids for 15 minutes. Repeat this twice a day. Alternatively, you can also put 2-3 drops of rose water in your eyes or wash your eyes with it. ItВ works as a great antiseptic agent which helps to cure eye infection andВ reduces puffiness, thus helping to get rid of red eyes. Cut a fresh slice of cucumber and place it in the refrigerator for 10-15 minutes. Keep the slice on the affected eye and leave it for a couple of minutes to treat the infected eye. 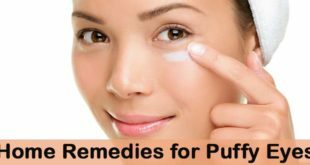 This is an effective remedy that helps get rid of swollen and red eyes and also soothes the pain and inflammation caused due to infection. As an alternatively, you can also dip a fresh cucumber slice in rose water and then place it on your eye lids. The water content in cucumber and cooling effect of rose water efficiently helps get rid eye of red eyes. Soak a cotton pad in cold rawВ milk. Now, rub it over the affected eye for at least 15 minutes. Repeat this remedy two times a day. Milk compress will help to cure redness, dryness, itching and pain the eye, caused due to infection. As an alternative, you can also take equal quantities of honey and milk and pour 2-3 drops of this solution into each of the eyes. You can also use thin slices of potato or grate the way potato. Keep it in the refrigerator for a few minutes. Now, put the chilled slices over your eyes for and let it stay for about 15-20 minutes. 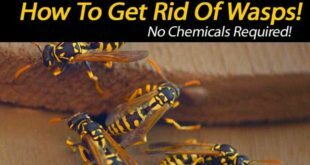 Repeat the remedy every day to get rid of red eyes fast and naturally. Soak a few fenugreek seeds overnight. Now, grind them to get a thick paste. Apply this paste on the infected eyes and keep it for 15-20 minutes to work. 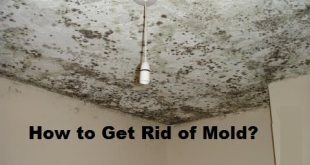 Wash it off with warm or cold water. Repeat this remedy thrice daily to get rid of red eyes and reduce its symptoms. Alternatively, you can also roast these seeds and wrap them in a cloth. Apply this directly to the eye. Bear with the heat and it will help to cure inflammation and pain caused due to infection. Prepare juice of carrots and spinach and have it on regularly to cure redness and itchiness in eyes. Steep half a tbsp of fennel seeds in a cup of water for 25 minutes. Strain the mixture and let it cool down. Now, use this water to rinse your eyes. Repeat the remedy 2-3 times a dayt o get rid pf red eyes. Place 4 steel spoons in a glass of ice water or ice cubes. You can also chill them by keeping them in the refrigerator. Take out after a few minutes and place them over each of your eyes. As the spoons begin to warm, replace them with another set of spoons which are kept in cold water or the refrigerator. Repeat this remedy until redness and swelling completely disappears. This makes it as a best home remedy to get rid of red eyes fast. Mix 1 tbsp. ofВ ACVВ in a cup of warm water. Now, soak a cotton ball in this mixture and apply on the infected eye. Gently rub the cotton ball and try to clean the eye. The malic acid found in this vinegar will help to fight the bacterial infections which tend to trigger redness and itching in eyes. Mix Вј tbsp. ofВ baking sodaВ in half a cup of luke warm water. Rinse your eyes with this mixture while trying to keep them open so that mixture reaches inside the eyes. This will combat the infection that triggers redness, pain, itching and dryness in the eyes. Dip a few cotton balls in extract obtained from witch hazel and use it as a cold compress over your eyes. Keep his on the eye for around 10-15 minutes. This will help to ease the inflammation, redness and swelling caused in the eyes. Alternatively, you can also directly use it to wash your eyes if you can bear with the sensation at that time. Repeat the remedy 2-3 times a day for effective results. Green tea has natural anti-inflammatory properties that make it helpful in curing redness, swelling and inflammation caused due to infection of red eyes.В Boil twoВ green teaВ bags in a cup of water. Allow the mixture to cool down and wash your eyes with this water twice a day for 3 days until the symptoms subside completely. Scoop out the gel from a fresh aloe leaf. Mix 2-3 tbsp. of Aloe Vera gel with 1 tbsp. of honey and half a cup of elderberry blossom tea. Rinse your eyes with this solution to get rid of red eyes. 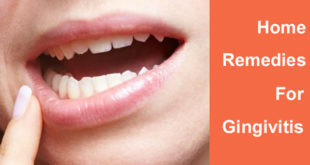 Repeat this remedy twice a day for a period of 2-3 days, until the redness and other symptoms completely fades away. Steep chamomile flowers in a cup of water and then strain this mixture. Now, use this solution to rinse your eyes. Repeat the remedy twice daily for effective results. As an alternative, you can also mix 12 drops of tincture to a cup of water and use it to wash your eyes. This is also an effective way to get rid of red eyes fast. Steep 2 tbsp. of goldenseal in a cup of water for 5-10 minutes. Strain this mixture and let it cool down. Now, use it to rinse the infected eyes. Repeat the procedure regularly for effective results. Alternatively, you can also use 2-3 drops of goldenseal tincture as eye drops and get rid of red eyes fast. You can prepare tea by boiling a handful of raspberry leaves. Steep this mixture for a few minutes. Strain and allow it to cool in room temperature. Apply it as a cold compress over the infected eyes. Keep it for 10-15 minutes to let it work. Repeat the remedy for 2-3 days or even more as needed. This will help to soothe the symptoms and get rid of red eyes fast and naturally. Eye bright herb which is also known as Euphrasia officinalis L. is very popularly used for various eye infections and disorders. 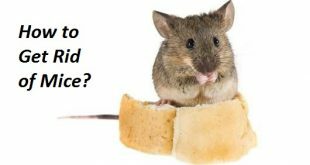 The Methanolic extracts of Euphrasia genus has natural anti-inflammatory properties which helps to fight the bacteria causing infection and get rid of red eyes. This ingredient is also widely used in eye drops. We advise you to reduce the number of hours you spend in front of TV or computer screen as working continuously in front of the screen for long hours cause dryness in eyes. This can also be a reason for redness in your eyes. Have a balanced diet that includes foods rich in Omega 3 and Omega 6 fatty acids like nuts, flax seeds, salmon etc. These provide the body with the elements that are required to keep your eyes healthy. 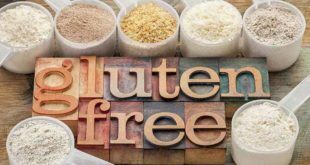 In addition to this, you can also include vitamin b2, vitamin b6 rich foods like eggs, fresh vegetables, whole cereals dairy products,В sunflower seeds, turkey, tuna fish,В yogurt and asparagus. Other elements like Vitamin C, Vitamin E,В lutein,В zeaxanthinВ and zinc can be included in your diet. These are found in cauliflower,В strawberries, broccoli, cabbage, oranges, cantaloupe, spinach and celery. 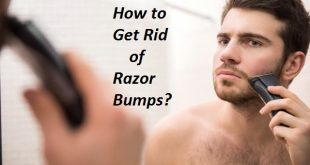 Previous How to Get Rid of Pimples Fast? Next How to Cure Diarrhea?